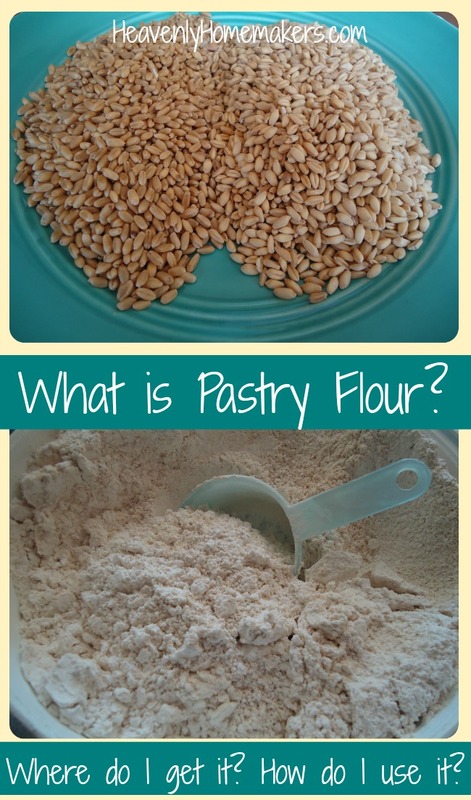 What is Whole Wheat Pastry Flour? Where Do I Get It? How Do I Use It? There’s this stuff called “whole wheat pastry flour” I keep talking about in my Low Sugar Treat baked goods. What in the world?? Never fear. I shall explain. You need to know this so that you can make this Low Sugar Super Moist Chocolate Cake. And probably for other reasons too. This is most commonly used in store-bought breads. It has a high protein content and a heavier texture and flavor. When you purchase “Whole Wheat Flour” at the store, you are most likely getting flour ground from red wheat. This is all good, however, it is my least favorite flour to bake with and eat. 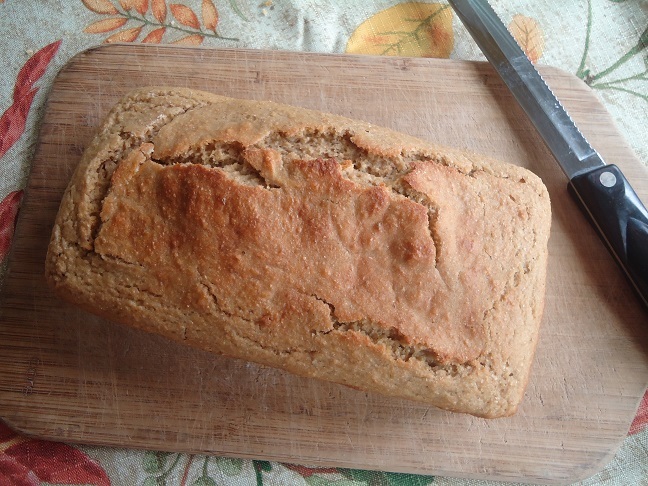 My experience is that breads turn out too heavy and dense when made with red wheat. This is my new love. Soft wheat has a low protein content, making it light and fluffy and absolutely wonderful to work with. It is this soft wheat that becomes Whole Wheat Pastry Flour when ground. Aha! Now we know what pastry flour is. This is very important! While soft wheat produces a pastry flour that looks and acts like all-purpose flour in many ways, we cannot use soft wheat in any recipes that include yeast because it does not contain enough gluten. Ground soft wheat (pastry flour) can only be used in non-yeast recipes like muffins, quick breads, pancakes, waffles, cakes, and cookies. But let me tell you what I’m learning! Grinding soft wheat into whole wheat pastry flour for use in non-yeast goodies is fantastic! 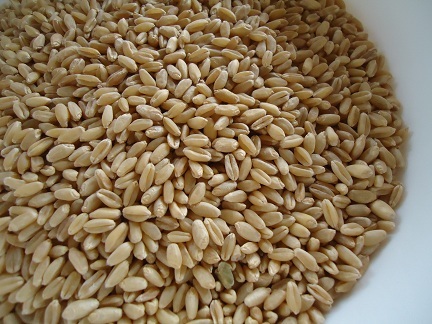 Hard wheat can be used in any recipe – yeast or no. 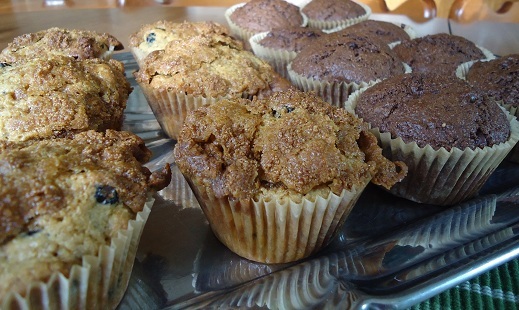 But soft wheat (pastry flour) helps cakes and muffins bake up softer and lighter. Lookie. Here’s my freshly ground whole wheat pastry flour. Doesn’t it make you want to bake a cake? Where Can You Get Whole Wheat Pastry Flour? Or, you can purchase ready-made whole wheat pastry flour from Amazon, or through a health food co-op like Azure Standard or another one you are a part of. And while I haven’t looked and don’t have one close-by, I would imagine that stores like Whole Foods and Natural Grocers carries it. Hard wheat makes regular whole wheat flour which can be used in ANY whole wheat flour recipe. Soft wheat makes whole wheat pastry flour which can only be used in non-yeast recipes like muffins, quick breads, pancakes, waffles, cakes, and cookies. 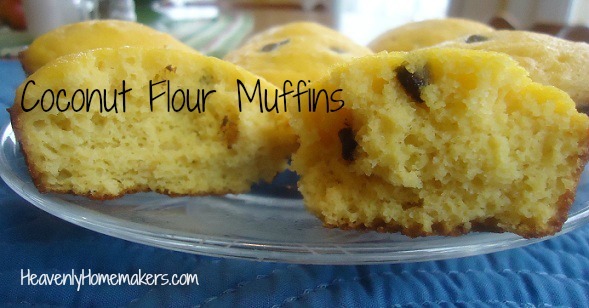 You can keep it simple and use regular whole wheat flour for all of your baking needs. Or you can use pastry flour for your non-yeast baking for a lighter, fluffier baked good, then use regular whole wheat flour for yeast breads. 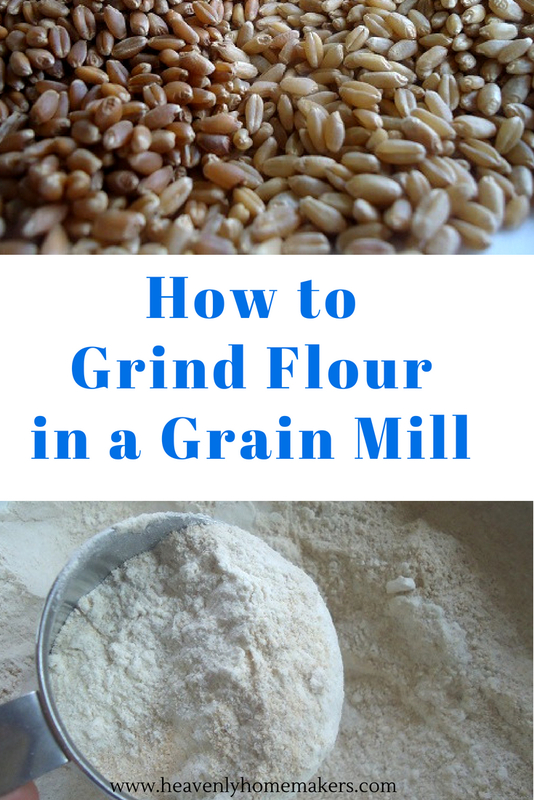 For more information about flour, grain, and varieties of wheat, you may want to look through all of my posts on Grains and Grain Mills. What is your favorite flour to use in baking? Do you use a variety or stick to one kind? 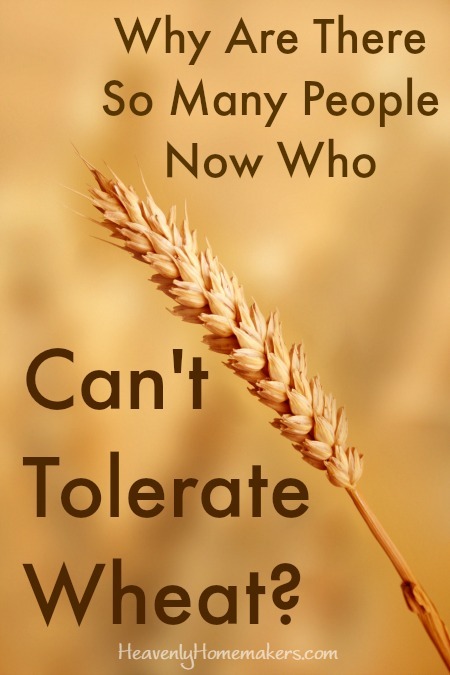 Why Are There So Many People Now Who Can’t Tolerate Wheat? After reading my Do We Need to Be Eating So Much Bread post, a friend of mine sent me a link to this article called The Real Reason Wheat is Toxic. I found it to be a great read, especially because this is a question I’ve asked many times the past few years as more and more people are having to cut wheat out of their diets. Why? Why is wheat, which has been consumed forever, suddenly giving so many people digestive trouble? Read this and come back here to share your thoughts. 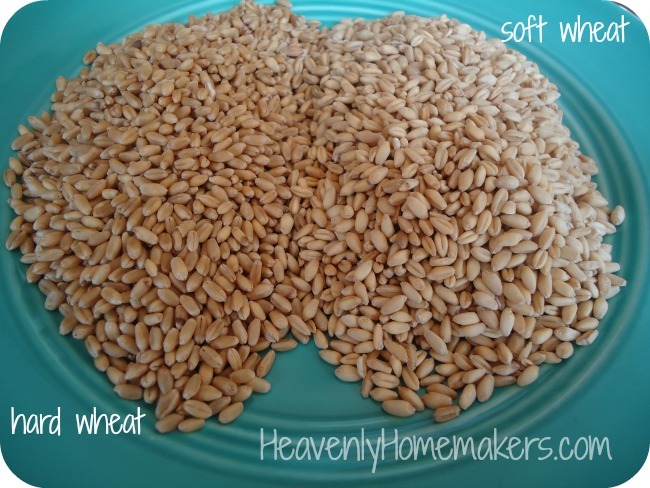 Amazon – I was glad to find this 37 pound box of chemical free hard white wheat (my fav). If you live in a city, check stores specialty stores like Whole Foods or Natural Grocers. If you live in a rural community, check with farmers around you to see if they grow chemical free wheat for you to purchase. I decided it would make perfect sense for me to post about My Favorite Whole Wheat Recipes, and then follow it up the next day with a post about avoiding wheat and/or grains altogether. I like keeping you on your toes. Seeing as the Ultimate Healthy Living Bundle includes an entire section on Special Diets, I thought this might be a good time to address my thoughts on eating a gluten free, grain free, or paleo diet. Let’s chat, shall we? I am just wondering what you think about all the gluten free, etc. rage? Some of my friends truly have celiac, but most just seem to be trying this as more of a fad, way to lose weight, etc. Don’t you think that the reason that they feel better is because they give up processed junk and sugar, not so much because of the actual gluten? We just had a missionary stay with us from Australia, she is originally from Taiwan and has lived in Kenya as well. She says that Americans are the only ones who take supplements and vitamins and have all these food allergies. She thinks it is ridiculous to eat at McDonalds, then buy vitamins. She stayed with us 2 weeks and it was very interesting, even if she was out and about, she would NOT get fast food, she would go to the grocery and buy fresh meat and vegetables and come home and cook it, even though it costs more and was more time consuming. Also, a lot of my friends that are on these EXTREME diets cheat half the time anyway, so what is the point? Ah yes. I too have watched people go from eating a basic diet of donuts, chips, fast food, and skittles – to eating a low fat or low-carb diet. They lose weight, feel better, and swear that the key is to cut out carbs, grains, gluten, eggs, beef, or butter. Hey, hey, hey. Them’s fightin’ words to this girl. Nobody better be blaming my butter or beef on their poor health! Especially when we’re talking about the kind that comes from cows who are raised in a healthy environment. But enough about my beloved bovines. What is the healthiest way for all of us to eat? I hate to disappoint you, but I do not believe that there is a one-size-fits-all diet. I believe real food, in balance, based on what your body can tolerate and thrive on is the right diet for you. Learn to listen to your body, and nourish it. I love my beef, and in fact, I believe I personally need quite a bit of (grass fed, if possible) red meat in my diet in order to maintain a healthy level of iron in my body. You might not need much or any beef. You may not need much of any variety of meat. 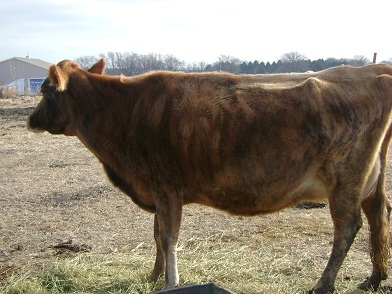 Okay by me – that means more cow for this girl. Learn to listen to your body, and nourish it. While some can’t tolerate grains or gluten, I can. I can’t eat them in large amounts, and in fact, I believe most of us should cut back on the grains just to make more room in our diet for fruits and vegetables. Learn to listen to your body, and nourish it. When you give up processed foods and instead eat more wholesome, nourishing foods, you will feel better and look better. This has very little to do with the fact that the food might be gluten free, paleo, or grain free. If you truly are allergic to a certain food or if a food makes you sick, by all means, you should not eat it. You might want to check into NAET though. It is possible to re-program our bodies so that they no longer reject certain foods as allergens. My boys and I have experienced this, and it works. Where we used to have food allergies, we no longer do, praise God! A Gluten Free label does not automatically make a food healthy. Cutting down on grains is beneficial, especially if the majority of what you eat is grainy. Our bodies need a better balance, and grains can be difficult to digest. Bready foods should not be our main nourishment focus. If we’re cutting down our grains, we should not replace them with loads of almond flour and coconut flour. I believe these flours are fantastic additions to our diets, and wonderful to use in baking – especially if your body can not tolerate grains. But to eat them by the pound every day? Well, what happened to balance? Paleo, Gluten Free, and Grain Free diets can be healthy and beneficial. But if you’re focused on cutting out foods for the wrong reasons, and not focused on overall body nourishment – you’re right back where you started. Share with me what you have found is best for you and your family when it comes to eating gluten and grains. Do you eat them? What grains are your favorites? grind wheat into flour in a Nutrimill? I’ve talked about how I love freshly ground flour and about how I love my nutrimill. You’ve all helped me share about great sources for organic or chemical free grains. I’ve even written a letter to your husbands trying to convince them that getting you a grain mill is a fabulous idea. But I’ve never taken the time to show you how a grain mill works. Is it hard to run? Does it take a lot of time? Do you work up a sweat using it? The answer to all three questions is a definite no! Did you see that? I put in the wheat, turned on the machine…and then I walked away and made lunch and did some dishes. Then I came back and had freshly ground flour. It doesn’t get any easier than that. And wow, this flour tastes more delicious than any you’ve ever had (in my opinion)! Check out the wonderful Nutrimill here! This post was originally published June 1, 2010. Did you know some people grind their own flour? When I first heard that from a friend about 14 years ago, I thought the very idea was crazy. Really? People do that? Why? How? Who has the time? Only crazy healthy-nutty people would go to the trouble of grinding their own flour. And their food probably always tastes nasty, because whole wheat flour is really heavy and strong flavored. Bleh. That was back in “my poptart and pepsi days” as I now lovingly call the time I didn’t understand much about nutrition. Obviously, I also didn’t understand that real food tastes really delicious. I was just doing the best I could with what I knew, and we can’t help what we don’t know, right? My eyes were opened to a better way after our youngest son was born with chronic eczema. I’m so thankful for the world of healthy eating God has opened up to us since then. We all feel so much better now. Food has never tasted better! I mean, I didn’t even know how good butter was back then. Sheesh. I was missing out. Who is now among the crazy health-nutty people who grind their own flour? That would be me. Yep, we’ve had a Nutrimill now for eight years, and it is still going strong. Who knew grinding flour was as easy as pouring wheat into a machine, turning a knob, and walking away? And the end result? Oh my goodness. I never knew whole wheat flour could taste so good. Freshly ground flour is amazing. First, let’s discuss the different options you’ll likely come across at the store. Most whole wheat flour that is pre-packaged at the store has been made from red wheat. This is a darker and heavier flour – not my favorite, but still an okay option. If this is the kind you use, you may need to use a bit less than is called for in some recipes as it tends to be dryer and produce a more dense baked good. I love and always recommend flour made from white wheat as it is lighter in color, lighter in flavor, and typically more enjoyable to eat. At the store, this is labeled White Whole Wheat Flour. Is white wheat healthy? Yes. Don’t let the word “white” throw you off. White wheat is simply a variety of wheat that, when ground, makes white whole wheat flour. Both red and white wheat have the same nutritional value, but they taste just a bit different. I prefer the flavor of flour made from white wheat – as do many people. Below is a picture I took last year when we were in Kansas. 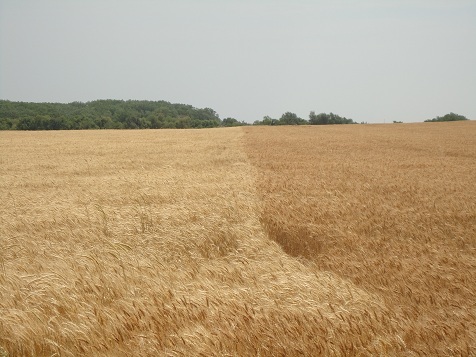 You’ll see two fields, side by side, one growing white wheat, the other growing red wheat. See? Both are grains of wheat, but when ground, they turn out a different color and texture of flour. I almost always grind hard white wheat at my house since we prefer it. I also sometimes grind soft white wheat, which produces a whole wheat pastry flour. 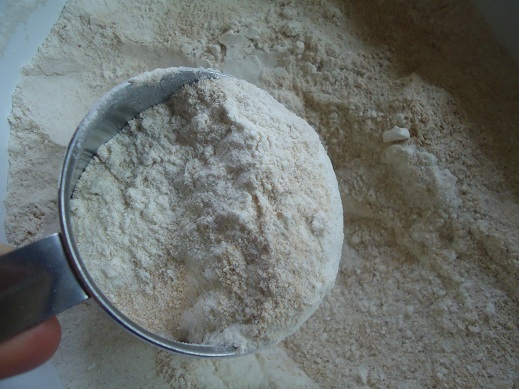 Pastry flour can be used in any recipe that does NOT call for yeast. 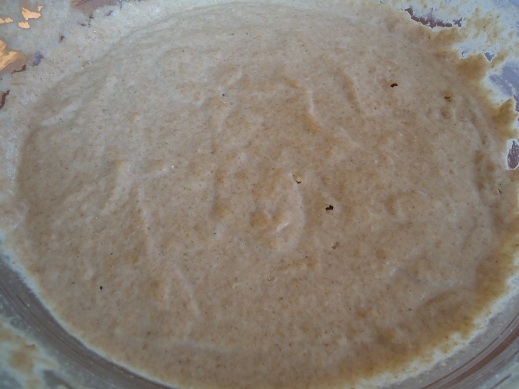 For yeast bread recipes, you must use a hard wheat variety. 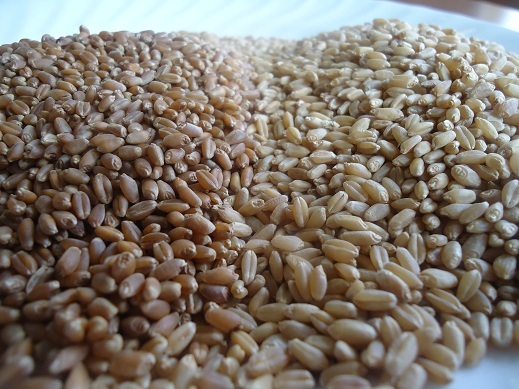 Read more about red wheat and white wheat here. Now let’s talk about which wheat flour I recommend. My favorite brand of wheat berries and wheat flour is Wheat Montana. They use chemical free, non-GMO grains. They are a very high quality grain, which makes wonderful tasting flour. 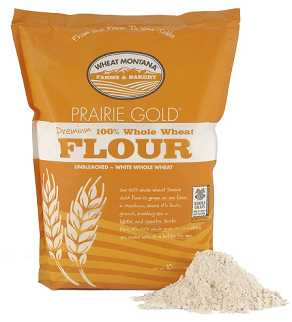 Look for 100% White Whole Wheat Flour, which they call Prairie Gold. I also like the Azure Standard White Wheat Flour, which is as low as 92¢ per pound. If you are a part of an Azure Standard co-op, you may want to look into this. Beyond those options, I have seen white wheat flour at Traders Joes, Whole Foods, and other health food stores. I don’t know the prices because I don’t have easy access to any of those stores. Share what you know about these options. Do you grind flour, or purchase it already ground? What is your favorite variety? Is Wheat Making Us All Fat and Unhealthy? I have been asked many, many times, “Have you read Wheat Belly? What do you think of it?” I decided to answer that question here, and open it up for a friendly discussion so that I can hear your thoughts too! First let me say this: No, I haven’t read Wheat Belly. I’ve chosen not to read it because I already feel overloaded with all the information out there about what is healthy, what is not, and how I should be raising my children. (Oh wait, that last bit about being a parent has nothing to do with food or nutrition. Mostly.) From the description and the reviews of the book, however, I can tell that Wheat Belly contains some helpful information that will benefit many people – especially people who are frequently eating many processed foods. Some people really can not handle eating wheat. If that’s you, then by all means, don’t eat it, and hooray for you that you found a solution for your body’s good health! But do I feel like we should all throw out the wheat? 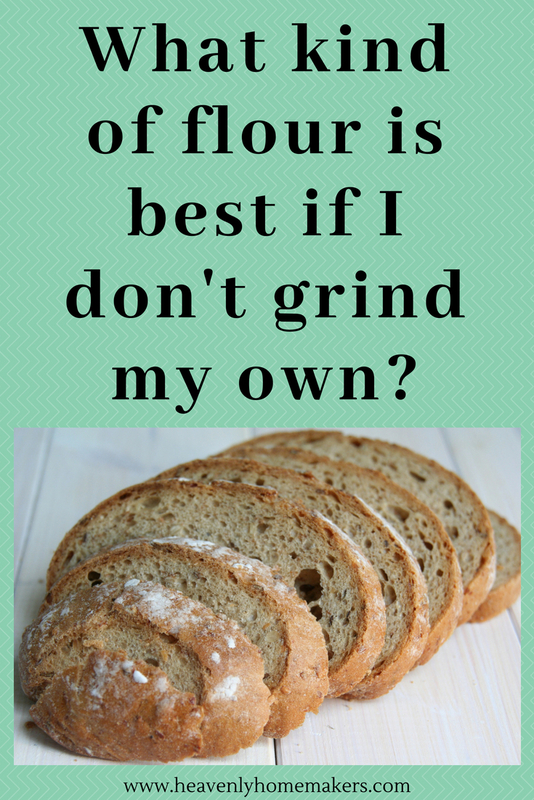 Well, since my wheat grinder is humming in the background in preparation for making bread as I write this post, I guess you probably know my answer. Why does eating wheat sometimes make a person gain weight? Anytime you’re eating too many carbs (which is what wheat is) – you are likely to put on some extra pounds. But hey, anytime you eat too much of anything – you are likely to put on some extra pounds. The key words in those sentences, in my opinion is not “wheat” or “carbs.” It is “too much.” Any time you are eating too much of any food (or food group), you are going to lack balance, which can cause weight gain and/or health issues. The word balance is becoming one of my favorites: BALANCE. Bal-ance. Balanicimo! Balanciencioso! Folks – maybe we do need to stop eating so much food with wheat in it, simply so that we can fill our bodies with more vegetables in an effort to achieve balance. Maybe we should go easier on the bread – so that we can be sure we are getting enough protein food like healthy meat, nuts, eggs, and beans. It’s all a part of eating in balance. What I do agree with: Many of us (my family included) eat a lot of grains – too many perhaps. Whole grains contain good nutrients, but we really must all be intentional about making sure our diets also include plenty of fruits and vegetables, plus healthy meats, dairy, nuts, eggs, and healthy fats. So if you are starting your day with donuts (and nothing else), having two rolls with lunch (with a side of jelly), eating a muffin for a snack, and then a burger with a bun for dinner, with three cookies for dessert – stop it! That’s not balanced, it’s really heavy on the wheat, and really light on…well, everything else, especially fruits and vegetables. Do the best you can. Be intentional about eating a wide variety of nutrients found in real, whole food. And when/if you eat wheat, make sure you are also eating a peach, some green beans, and a hunk of chicken. Sound like a plan? 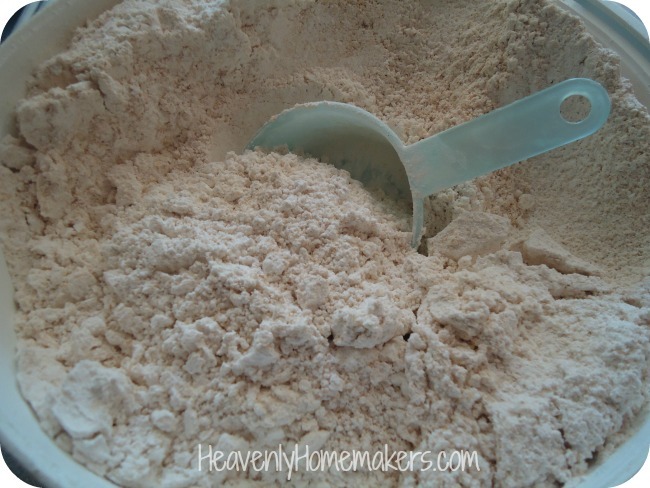 Flour Made From White Wheat and Red Wheat – Is It All Whole Wheat? 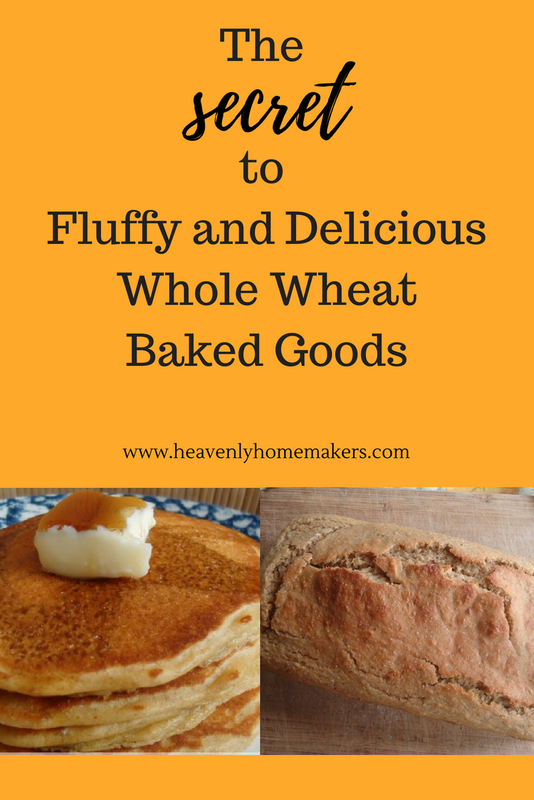 Remember the post I wrote talking about which kind of wheat flour is best? In that post, I told how both hard red wheat and hard white wheat are good for you. Both make whole wheat flour. They are simply different varieties of wheat. My darling husband, seeing what I was pointing out, kindly slammed on the brakes (not really, but sort of), put the car in reverse, and pulled over so I could get some pictures. (Don’t worry. We were on a country road in the middle of nowhere. There wasn’t another vehicle around for miles.) There, side by side, was a field of hard red wheat, and a field of hard white wheat. Gorgeous! 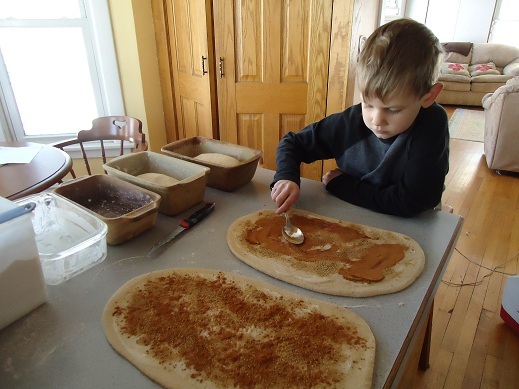 The main reason we wanted pictures is to show you that indeed, red wheat and white wheat both make whole wheat flour – they are just different varieties of wheat. (Read through all of my grain and grain mill posts if you’d like to learn more.) 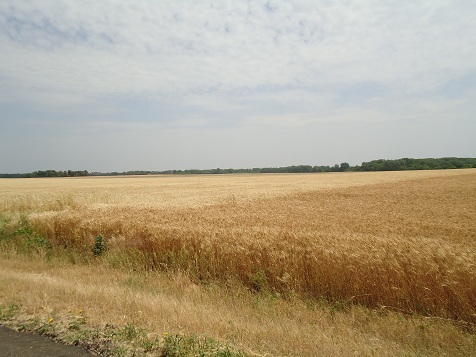 And the other reason we wanted pictures is because wheat fields are beautiful and I wanted to gush about them to you. If I could have recorded the sound they made in the breeze, I would have done that too. Okay, I’m done gushing now. Since we started the week here talking about what healthy eating really means, I thought this might be a good time to discuss the many questions I receive about the idea of soaking grains. There is definitely conflicting information on this subject. If you’re wondering what I’m even talking about when I say “soaking grains“, you may want to read this post. If you’ve been reading here long, you know that I’ve done quite a bit of struggling with the idea of soaking grains for better digestion. I learned so much several years ago from reading Nourishing Traditions about eating real, whole foods and the importance of healthy fats and well balanced nutrition. Sally Fallon, author of Nourishing Traditions, feels very strongly after much research that it is important to soak oats, wheat flour, and most other grains in something like whey, yogurt, kefir, cultured buttermilk, lemon juice, or vinegar for at least seven hours to allow the enzymes to break down and neutralize the phytic acid so that our bodies can digest the grain. My initial reaction after reading Nourishing Traditions was to feel that I absolutely had to soak all of our grains before I made any breads, muffins, pancakes – everything! – otherwise I was being a horrible mother. The book wasn’t condemning, I just took everything I read in it straight to the heart, and had a huge desire to do everything right as I transitioned our family into healthy eating. I never really came up with a soaked bread we liked and many of the soaked muffins and such just had a funky flavor, but I kept trying anway. I had to soak – I had to soak – I had to soak. And if I didn’t soak, I felt guilty – like I was feeding my kids junk food. Sounds extreme, but that’s how I felt about it. As time went on, I began to feel very overwhelmed by the need to soak all of our grains. Was anything really wrong with me simply stirring up and baking some muffins without first soaking the grains? Why did healthy cooking have to be so difficult? On top of that, my family didn’t really love the taste of my soaked grain baked goods. Truthfully, neither did I. Keeping up with soaking became a tedious chore for me, especially as my life became more full with my family and with keeping up with the work on this site. Somewhere in there, I read this article from Bread Beckers, detailing why soaking grains is not necessary. It is a well researched, well written article. And it made me question so many things I’d learned about soaking grains. As I’ve wrestled with this through the years, I received many questions about soaking grains from you, my readers. Here I am wavering on my conviction on this subject and you are wanting my thoughts and opinion on the matter. I don’t want to steer anyone wrong! I don’t want to be the authority on this subject! I’m not saying soaking grains is right. I’m not saying soaking grains is wrong. Shucks, I don’t even really know what I’m saying. I’m saying I’m tired. I’m saying I’m a little overwhelmed by all the conflicting information out there about what it truly means to eat a healthy diet where grains are involved. I’m saying that I give up on trying to have all the answers about grains. Soaked grains, sprouted grains, no grains at all? I don’t want to cop out, I just want simplicity and balance. I wish I could provide you with something more solid. I’m doing the best I can for my family and I feel peace with this decision. So what are your thoughts about soaking and sprouting grains? I’d love to hear where you have landed on this subject.